I am the queen of perma-dirt. You know those lines of dirt on the edges of your index fingers and thumbs? With all the time I spend playing in the garden, that area on me looked like I’d gotten a dirt tattoo for about a decade. I once asked folks on my Facebook page how they kept their hands from getting that embedded dirt while gardening. A number of smart-asses lovely and charming readers asked, had I ever heard of gloves? Perhaps it’s because I’ve never been particularly delicate about anything I do – no one has ever described me as lady-like – but I get dirt under my gloves, in my gloves, through my gloves. I plunge a gloved hand straight into muck and mud without thinking about it. I bust open the fingertips of my gloves and keep on trucking, because I’m not about to stop when the dirt is singing to me. To give you some idea, when I really “go out to garden” I wear waterproof hiking pants over leggings and a waterproof shell over a sweatshirt and when I come back in I am so covered in mud that I strip my outer layer of clothes off at the back door. So, yeah, maybe it’s just me. 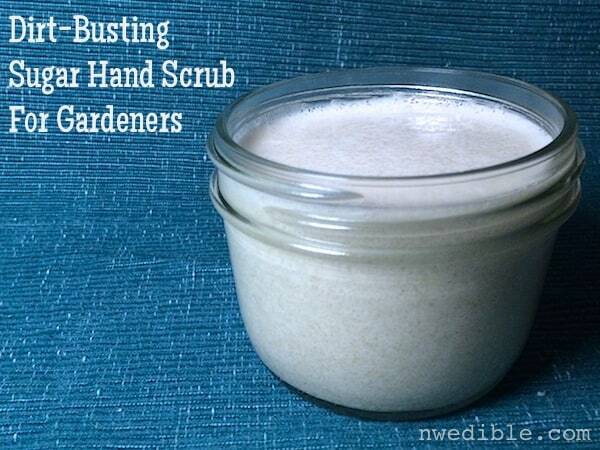 But if this dirt-busting, creamy hand scrub can help me get clean hands, it’ll work for anyone. 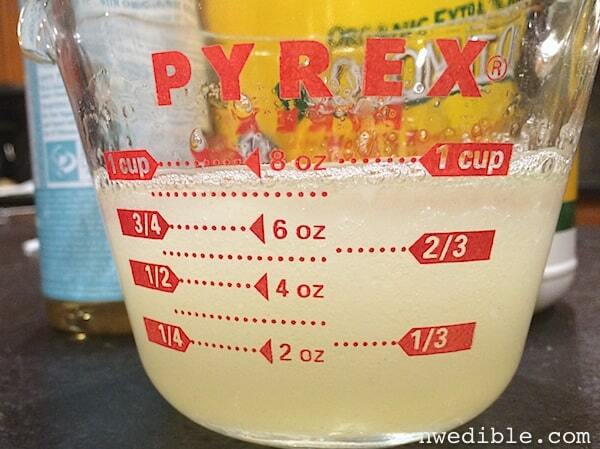 This makes a 3-cup batch, enough to fill 3, wide-mouth half-pint jars. Recipe can easily be halved. This scrub will last for a long time at room temp – several months. For even longer storage, or for a firmer texture, keep your jars in the fridge. Basic staples in a kinda-hippie household. Melt coconut oil in the microwave on half-power or in a heat-proof bowl set over a pan of simmering water. When coconut oil is liquid, add in soap. and sugar. Stir to combine. Half coconut oil, half soap. Let coconut oil cool, then stir vigorously with a spoon. 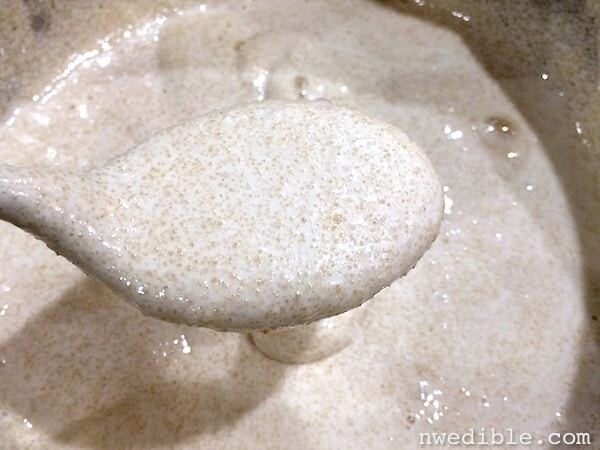 This will semi “whip” the coconut oil and give a pourable but creamy texture to the cleansing sugar scrub. Add in skin-friendly and nice-smelling essential oils if desired. Rosemary and peppermint smell fab together. This combo gives the scrub a nice, clean, woodsy smell that is gender-neutral and very refreshing. Lemon or orange would also be great if you don’t have sensitive skin. 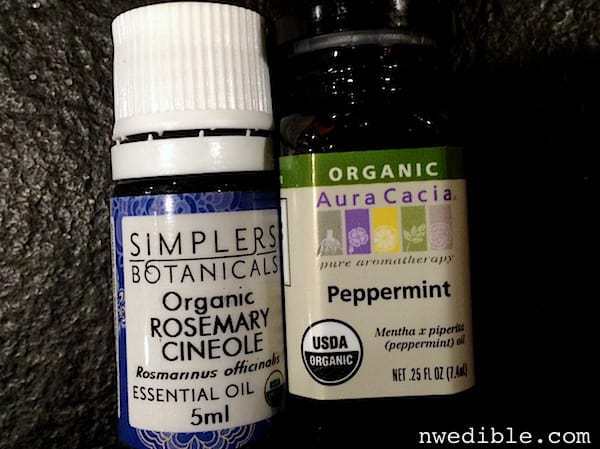 I buy organic essential oils from Simplers Botanicals and Aura Cacia at my local Co-op. Even though they are often cheaper on-line, I recommend you find a good yuppie-hippie market that will let you sniff-test essential oils before you commit to a brand. I have found that the same essential oil across different brands can smell very different, and sometimes one is lovely and the other is just nasty smelling. If you have a preferred brand for essential oils, shout it out in the comments. This sugar scrub is both exfoliating (the sugar) and cleansing (the soap), which is why it works so well on grimy gardener hands. Moisten hands, apply a small dollop of scrub to the palms of your hands and scrub like crazy, paying particular attention to the skin creases where dirt gets trapped. Rinse and enjoy your squeaky-clean, grime-free gardener hands. Well, at least until you get back outside. 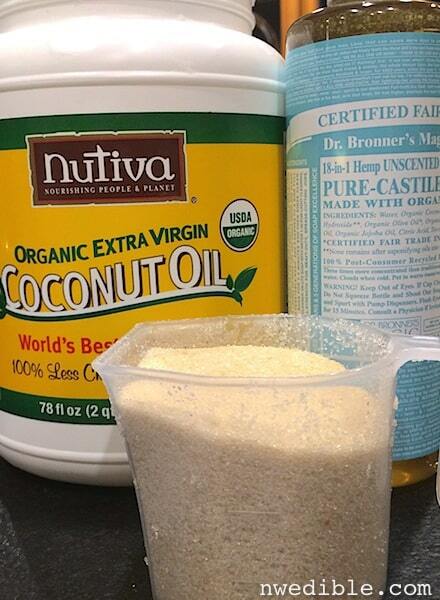 Since you’re putting this on the outside of your body, is there any reason why we can’t buy cheaper ingredients of coconut oil and just use cheap refined sugar? You can substitute in whatever you have on hand. There’s no functional reason non-organic versions shouldn’t work, though the organic sugar I use is rougher and larger crystaled than refined white sugar. Just keep in mind that no product just appears in the stores. If you choose to use less sustainably sourced ingredients there may not be an effect on your body, but there is AN effect. And those plastic containers, won’t?? One thing about “cheap” refined sugar is that it’s 90% or something like that GMO. (sugar beets, mostly) Just because we don’t EAT something isn’t a good enough reason to encourage it being on the market by our buying it. EVERYBODY (environmentally speaking) is going to “eat” it in time…. Your skin is the largest organ of your body, it absorbs everything you put on to it, so I personally think it does matter what you use..
Ah! I too suffer from fingernaildirtitis on the days my garden holds me captive until I’m dehydrated, exhausted and the sun has set on my toils. This recipe sounds like a winner – I’m whippin’ up a batch for this weekend! Gardeners recognize each other by the truly grimy dirt encased fingernails we all have even when we wear gloves (I go through many pairs a season). But, every now and then you have to spend time with non-gardeners and it’s only then that you realize just how bad your hands actually look! Thank you for this recipe. It sounds like it will do the trick for me, too. I think I’ll make a double batch! Thank you from a gardener that swears the dirt and mud attacks if I merely stick my nose out tge front door. No matter how many pairs of glove, clothing, etc I wear. I come back covered in dirt. Must be a dirt magnet! Sounds exactly how garden gloves don’t last very long for me either! Since there are some reports of elements in the dirt actually raising your serotonin levels on contact, I might not even bother with the gloves on warm days and when the soil is not muddy. Thank you for such a simple and useful DIY recipe! I’ve got all these ingredients AND dirty gardener’s perma-dirt right now. Off to do some research! I would like to make this for a friend who is allergic to latex and stays away from coconut. What can I substitute for the coconut oil? Thanks, Erica! I love dirt and hate the gloves that keep me from feeling its every nuance. Gloves are the condoms of the garden, and I say, “Just say ‘no'”! This recipe sounds like a winner!! Thanks for passing it along!! Just in case some of your readers are unfamiliar with Dr. Bronner’s castile soaps, however, they may be interested to know that the liquid soaps come in a variety of scents–lavender, eucalyptus, rose, almond, citrus orange, tee tree, and peppermint. In addition, the scents are “true” to their names–not at all like an artificial scent would smell. Granted, the scents may not be as strong after the soap has been added to the coconut oil; nevertheless, the scented soaps would be be a great alternative if one does not wish to purchase essential oils. Your post is very timely for me! I have been making soil cubes this week and was sitting in a meeting at work noticing how very…er…dirty my hands and nail beds appeared. I’m like you – for me, gardening is a full-contact sport. I will have to give this a try. Thank you for the nice advice! Salt can also be used instead of sugar. I also find that putting lotion or an oil on my hands before a project fills in the cracks and makes the post project cleanup easier. P.S. Thanks for all the winter gardening posts. They have been helping me stay excited and plan for spring! This is fascinating! Fabulous. And what great gifts as well. As a gardener, I’m very excited. I’m with you on this one…love getting my hands in the dirt. Especially this time of year; I really need to feel the dirt to know if it is too wet, too cold, etc. Can’t wait to try this…might make some as gifts, too. It sounds wonderful. 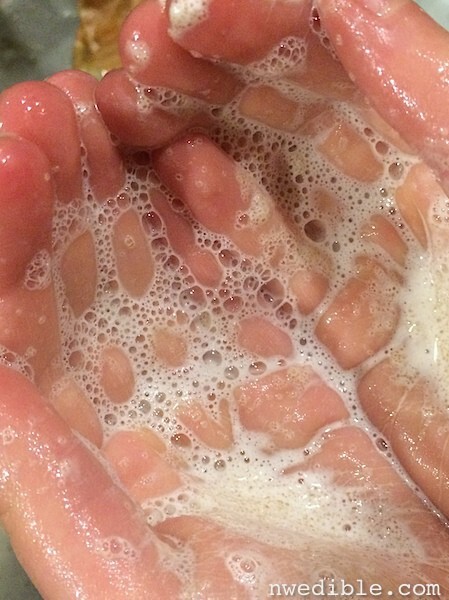 I just made this and I may never stop washing my hands – AWESOME!!! Wait, I thought gloves were for grip? They are supposed to clean you clean? HA! …so, in the summer, I would probably stick with non-citrus. Mmmmmm, I have some older oils I should use up soon! My issue is that I take out the trash and notice a weed, then another, and oh hey the raspberries need picked again, and the 17 pairs of gloves go unused. And I do have about 5 different places in the yard where they are kept. So I guess I should make some sugar scrub. I wear gloves to keep the blisters down, especially when digging and using tools, but the soil gets in there and this sugar scrub is just what I needed. My 6-year-old and I made some tonight and then used it on our feet and gave each other pedicures. So it works great on feet, too. And I already only buy organic sugar because it’s from a fair trade and sustainable source, and I don’t care what it costs. And anything I put on or in my body deserves the best. I was wondering, too, about a substitute for coconut oil for a gardening friend who stays away from latex, and might try it with Vitamin E oil. Anyone else try a different oil? I made this yesterday and loved using it, but today when I woke up I saw that it had separated. Did you have this problem? I’m a little late to the game on this post, but I’m glad to know I’m not the only one who spends half the summer with dirt packed under my fingernails… I’d tried a Dawn-dishsoap-and-sugar scrub recipe that separated on me and made a terrible mess in the sink, soap-bubbles wise, and have since substituted with a can of Boraxo soap. I’ll have to try your recipe – it sounds much gentler on the skin! Thanks for the share!